Some days, you wake up, and even though the calendar says "August," it can feel like Christmas morning. That’s because your inbox contains an image, which announces the news that a new Christopher Guest movie is on the horizon. Finally, after years of waiting, our long national nightmare is drawing to a close. We soon will have new Guest to pore over. Oh happy day! 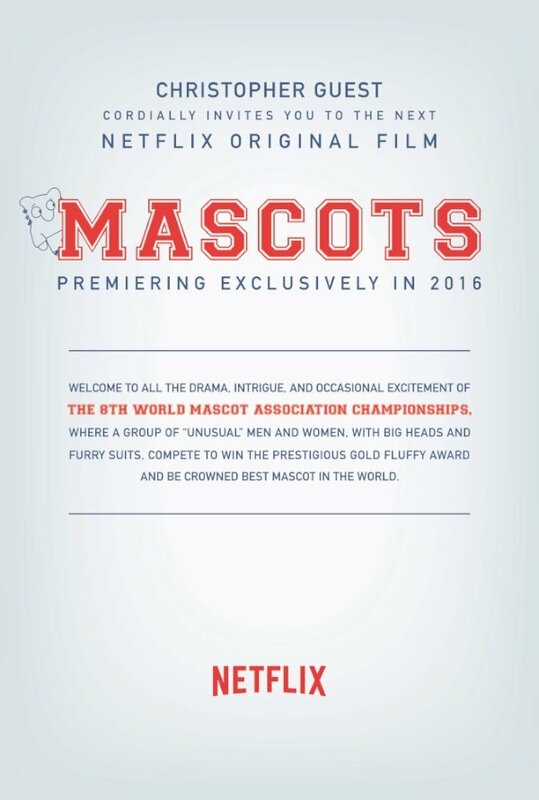 This image serves as the official announcement that Netflix exclusively will deliver the new, original Christopher Guest film Mascots in 2016. While we don’t yet have details about a cast or a release date, we do have a plot synopsis, and it already sounds ripe for Guest’s unique brand of satire. As you can see, he’ll be turning his attentions to the world of big-headed and furry-suited mascots, pitting them against each other in a World Competition (an arena that Guest has explored before in his biting mockumentary Best in Show). Where, though, has Christopher Guest been all of these years? The brilliant writer-director was last seen acting on the TV series Family Tree, where he played Dave Chadwick in multiple episodes. But he hasn’t released a film of his own since 2006’s For Your Consideration, a slap at the annual Awards Race that consumes all facets of the film industry from September to the following March. While For Your Consideration was a broad, sweeping dismissal of the lunacy that can accompany Oscar buzz, it didn’t quite have the sting of Christopher Guest’s previous masterpieces, Waiting For Guffman, Best In Show, or A Mighty Wind. Those form-fitting satires mined hilarious observations from both the director’s pen and his ensemble’s wit to spoof (and spotlight) the worlds of community theater, dog competitions and the folk-music industry, respectively. And they were flat-out hilarious. Let’s all go to the hotel and get Busy Bee, shall we? We’ll still have to wait and see what the release date on Mascots will be, but we likely can guess the cast that will re-assemble for the first Christopher Guest movie in years. He routinely writes with Eugene Levy, so I’m hoping they rekindle their working relationship. And Guest’s ensembles over the years have always included Harry Shearer, Catherine O’Hara, Michael McKean, Parker Posey, Bob Balaban, Jane Lynch, John Michael Higgins and Fred Willard. We can only hope that he’s getting the entire band back together for this next endeavor. Whatever else we hear about Mascots, we’ll be sure to bring right to the site.